Nitto's innovative renderer's masking tape has been specially developed for the rendering, building and construction industries. 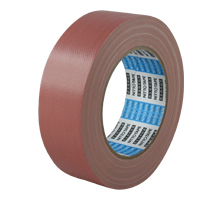 Manufactured from durable cloth based material, this tape provides cutting performance, extra strength and excellent resistance to all weather conditions. Specially formulated rubber solvent adhesive ensures excellent hold without leaving excessive residue when removed.